Next stop on our tour of Italy — Florence. We drove from Norcia to Florence with a quick visit to Assisi. Assisi in March is a real treat, because there are very few visitors. It is very beautiful and great to visit if you are passing through the area. 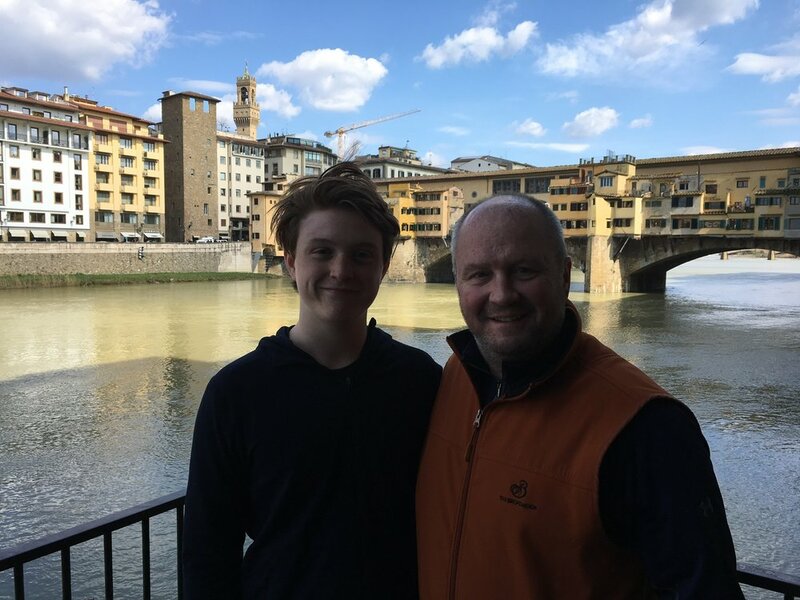 We had the pleasure of staying at Hotel Lungarno during our visit to Florence. It has recently reopened after a complete renovation. It has a nautical theme and is right on the Arno River. When you look out the window, you literally look down at water. The hotel hangs over the edge. It overlooks the Ponte Vecchio and is across from the river from the main part of Florence. It is actually really nice to walk across the bridge after a long day in Florence and experience a more local feel with wonderful, small and traditional trattorias within a block of our hotel. We had a beautiful room overlooking the river. I stopped every few minutes to stand on our Juliet balcony and take in the view. It is a real treat. Our boys were in a Jr. Suite without the fabulous view. Their room felt like a suite with a living room and a step up to the bedroom with a huge bathroom. It was really inviting and had such a great layout. The staff is just wonderful. The bellman with the great smile even walked us to our first dinner and introduced us to the owner of the trattoria. The Lungarno Collection, owned by the Ferragamo family, has three other hotels in Florence. They all have very different vibes, and the Hotel Lungarno is their flagship property. We enjoyed a drink at La Terrazzo Rooftop Bar at the top of the Continentale. It has the best views of Florence and was wonderful for enjoying the sunset after a long day exploring the city. We enjoyed a wonderful tour of Florence. You learn so much more about a city when you have a private guide. 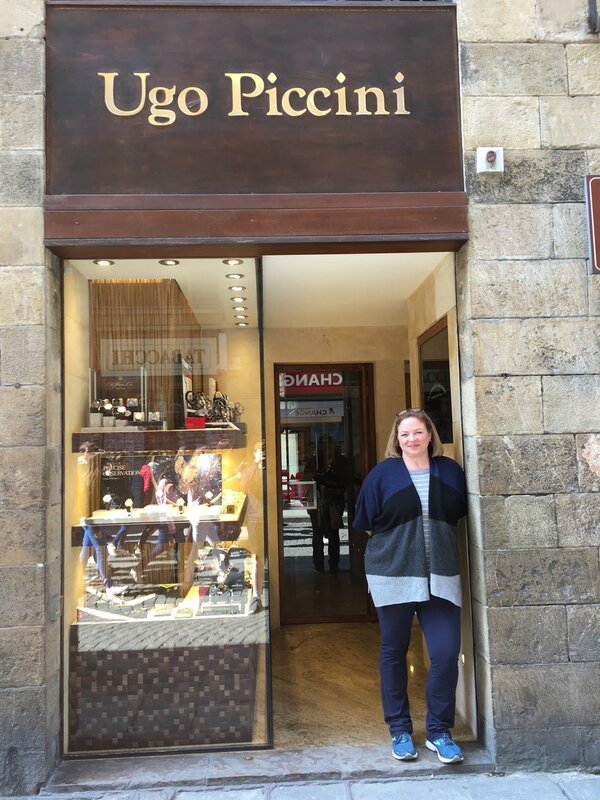 We opted for a half day in Florence, so we could spend the afternoon shopping. Our wonderful guide Angela is so knowledgeable about the art and history of Florence. She also knows where to find the best gelato!! !